Why Choose The Andover Companies? 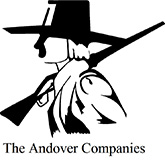 The Andover Companies has been providing quality insurance protection since 1828. We are committed to providing competitive, affordable products tailored to meet the needs of homeowners, landlords and business owners and pride ourselves in our exceptional customer service and claims support. A.M. Best, an independent insurance rating firm, has consistently granted us the highest possible rating of A+ Superior. When I’m evaluating an insurance carrier, I look for a company that can provide comprehensive coverage, broad terms and conditions, strong financials and customer friendly claims paying capability...The Andover Companies' products continue to address my concerns and they have delivered in my time of need.